Swap is a feature used by default on many desktop GNU/Linux installations including Android. 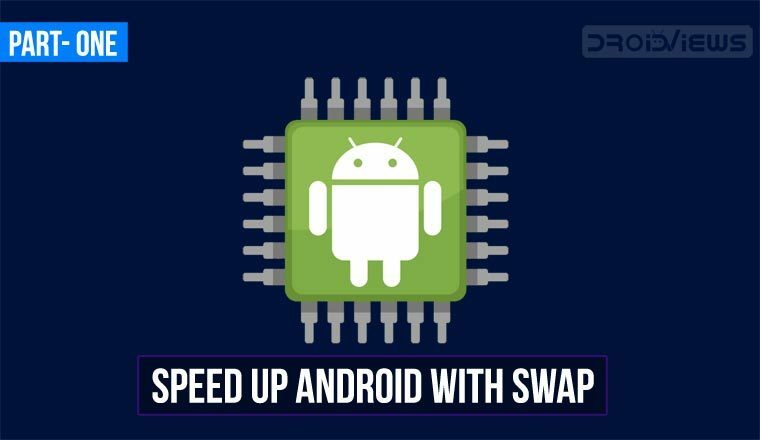 You can speed up Android devices using Swap file method significantly and below, I’ll be describing in detail how you can do that. In computing, paging is a memory management scheme that enables a computer to read and write data on storage devices for use in main memory. It is part of many modern Operating Systems and allows the use of storage devices (hard disks, flash memory devices etc) as virtual memory, in addition to physical memory (RAM). Linux kernel and other Unix-like operating systems use the term ‘swap’ to describe both the act of moving data between physical and virtual storage as well as the region of the storage device that it is used as virtual memory. Linux can use entire disks, special partitions on disks (swap partitions) and also special files (swap files), for swapping. Swapping enables Linux to extend its available memory (total memory = virtual memory + physical memory). The idea is the following: data in memory which are inactive are moved to swap and brought back when needed again. One limitation of this operation though is that moving data to and from swap can introduce considerable system lag since storage devices are several magnitudes slower than RAM. To actually get some extra total memory, the virtual memory (that is actually inside the RAM as said above) is compressed. Compressing and decompressing data uses CPU power. While zram claims a 2:1 compression ratio, this ratio is not universal. Instead, it depends on the type of data moved to zram. Some kind of data might not get compressed at all. So, actual memory earnings can vary. Not all Android devices support zram. Even though it was introduced with Android 4.4, some stock kernels do not support it. 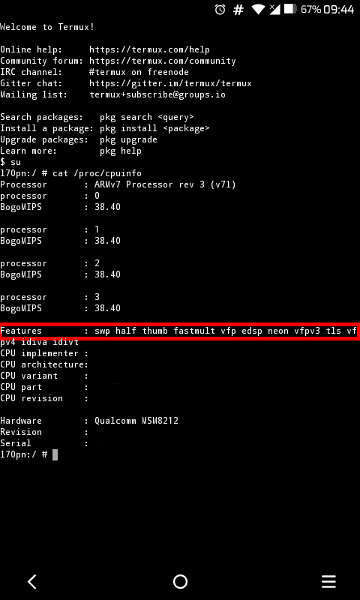 Since Android is using the Linux kernel behind the scenes, it can use swap as long as the kernel has support for it. Nevertheless, using swap on an Android device can degrade the life of its storage device: Flash storage devices, which are used on most embedded platforms, have a finite write life. Enabling swap increases read and write operations significantly. This is the reason swap was never enabled by default on Android. Some users though still enable swap on their devices, usually on a dedicated partition on the external Micro SD card. As mentioned above, you can use a whole disk, a separate partition or a file, for swapping. While all three are possible on Android, we will only discuss the partition and file methods. The file-based swap might not work on some file-systems on Android, as it requires that the swap file is written on a continuous location on disk. If you get errors while trying to enable swap using a swap file, you should try using a swap partition instead. You are interested in the line marked with the red border on the image above. If swp or swap appears in this line, your kernel supports swap. This is the easiest method of enabling swap on your device. Furthermore, using a swap file gives greater control to the user. It can be easily created, deleted and changed in size, without having to repartition the whole disk. There are some Apps on Play Store that can create this for you, like Swapper & Tools. In the above command, count states the size of the file in KB (512*1024). Change this value according to your setup. Furthermore, the value after the of= parameter is the file name. replacing /storage/AXXXXXX/swapfile with the location of your swap file. If any of the above commands throw an “unknown command” error, please install busybox on your device and retry. Download the zip, extract the script and edit it with a text editor on your personal computer or your Android device. Change the value of SWAP_PATH to the absolute location of the swap file you will use. In our example this value will be /storage/AXXXXXX/swapfile . Make sure there are no spaces around the ‘=‘ sign: SWAP_PATH=/storage/AXXXXXX/swapfile . Change the permissions of the script file. They should be 755 or rwx–xr–xr. In the next part of this How-to Guide, we will discuss the Swappiness kernel parameter and the partition method of Swap. Excellent, well written post which succintly details its content in a manner which can be understood by readers who may otherwise avoid “techie” articles. BTW, it’s refreshing to see that proper English has not yet been exterminated by the excessive preponderance of so many writers and authors to use ‘U.S. English’ these days. Thank you very much for the kind words. I am happy to find out that the article is easy to read and understand.